Not a Fan of the Phone? Our junior professed sisters had come from the outstations to Karen for their annual “get-together”. They enjoyed a retreat with Abbot Emerit,Timothy Wright of Ampleforth Abbey in England. 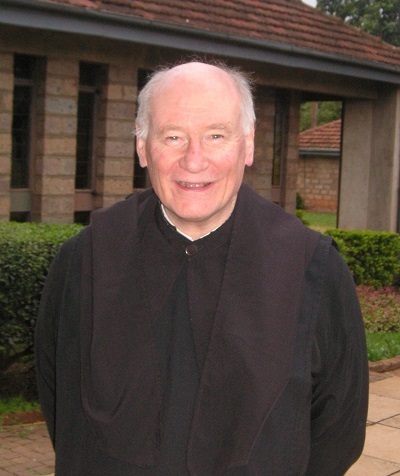 He spoke to the community of the commission given to him by the Abbot President Jeremias OSB to create a dialogue between Christians and Muslims on the basis of Benedictine spirituality. Such a dialogue is especially important in Kenya, where political unrest and insecurity are still smoldering; the many different efforts to bring peace to the nation seem to be at end. Have a problem or question? How can we help or pray for you? Our Sisters are waiting to talk or hear from you! Please call (402)371-3438, email khermsen@norfolk-osb.org or use the chat button on our website. Stay up to date with us by signing up for our newsletter!